30 No. 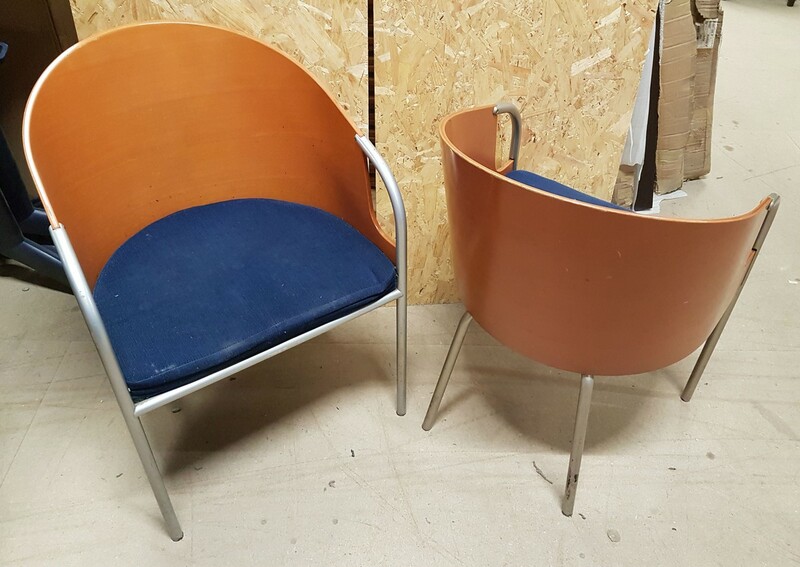 Calligarus Italian made curved polished ply back chairs in Cherry finish with Blue fabric upholstered seats and brushed metal front arms matching the legs. 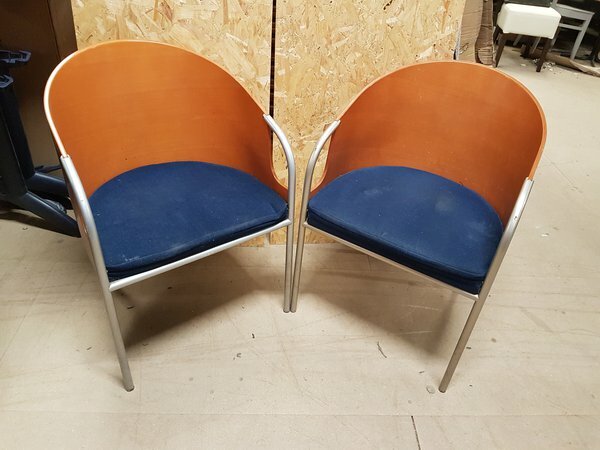 Very comfortable to sit on and ask very stylish. Supplied structurally sound with no rips or tears to the fabric and just some minor scratches, but nothing to worry about! Viewing available by appointment at our central Derby warehouse.